which the natural lens of the eye becomes dense and cloudy. procedure has to be performed without compromising the thin membrane that encapsulates the eye. after the cataract is removed. The earlier posterior polar cataracts are diagnosed, the better it is for the patient. because of the sensitivity of the location. Even a slight error can cause the membrane to tear. challenging since the fibers of the polar cataract strongly adhere to the membrane. the membrane. Once this achieved, the surgeon gets a better idea about how to proceed with the surgery. membrane that protects it from undue stress. There is evidence that laser cataract surgery is safer for these patients. By 'pre-softening' the cataract, it may be maneuvered more easily. This creates less stress on the membrane, leading to less of a chance of tearing it. obliquely in order to avoid stress on the lens membrane. possible by irrigating it. The remaining fibers are removed through aspiration. 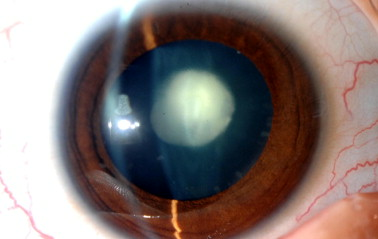 Soon after this, the intraocular lens is implanted into the lens membrane.